ISS Research - Oh Yeah! 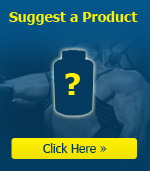 Welcome to SupplementOutlet.ie, Irelands latest online supplier of Bodybuilding , Fitness and Weight Loss Supplements. We are a Dublin based limited company. We supply top brands at the lowest possible prices with next day delivery within the Republic of Ireland. We specilaised in protein, amino acids, creatine, weight management, vitamins, and energizers.